Iâ€™ve never met a potato I didnâ€™t like. ðŸ˜� WBU? Last Fall, Ryan and I entered a contest 3 TIMES (the maximum times allowed) where the goal was to create ANY recipe at all using baby potatoes. The prize was $10,000.00. Our first option was on the fancier side - A healthier take on potato salad with a sweet tahini dressing, springy sweet peas and tangy pomegranate. The second option was on the indulgent side. Baby potato nachos with grass-fed beef, cashew sour cream and lots of veggies. The photo was a bit busy and the lighting wasnâ€™t great because I snapped it standing on the front doorstep while Ryan held the backdrop (a giant slab of countertop) and we desperately tried to capture the last bits of natural light for the day. But 10 minutes later, none of that mattered because we enjoyed every bite while laughing at our less-than-stellar photography work. Finally, we dressed up an old classic for option 3: Smashed baby potatoes. Sadly we didnâ€™t win the contest, but since we took the photos and wrote out the recipes, I figured I would at least share one of them here with you! Pre-heat oven to 385F. Boil baby potatoes until soft, then allow to cool slightly. Smash each potato on a parchment-lined pan using a fork, brush a small amount of avocado oil over each potato and roast until crispy. While the potatoes are roasting, add the avocado, lemon juice, pink salt and another glug of avocado oil to your blender and blend until creamy. 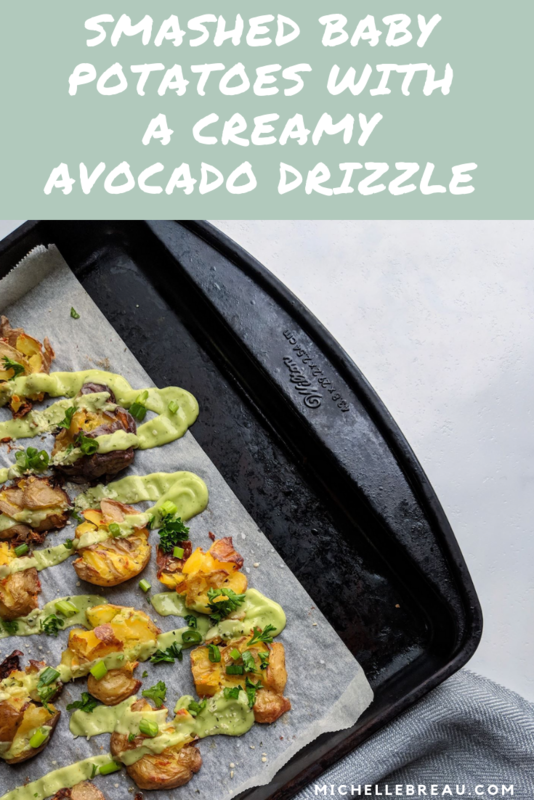 Drizzle mixture over your potatoes and devour. Want even more easy recipes and insights on how to detoxify your home, body, and mind while boosting your metabolism and energy to a whole new level? Then check out my new program, DETOX30 - The only 4-week online intensive holistic detox program of itâ€™s kind! Or join me over in our free Facebook community, where I share loads of information, tips and recipes to help you live a happier, healthier life.